Kluber Architects + Engineers was tasked with rehabilitating the existing manufacturing and storage space into a product development and test laboratory at Motorola’s Arlington Heights, Illinois campus. Interior architectural systems were selected, detailed, specified and coordinated between the architectural and engineered systems. Mechanical work included calculating the cooling load requirements. 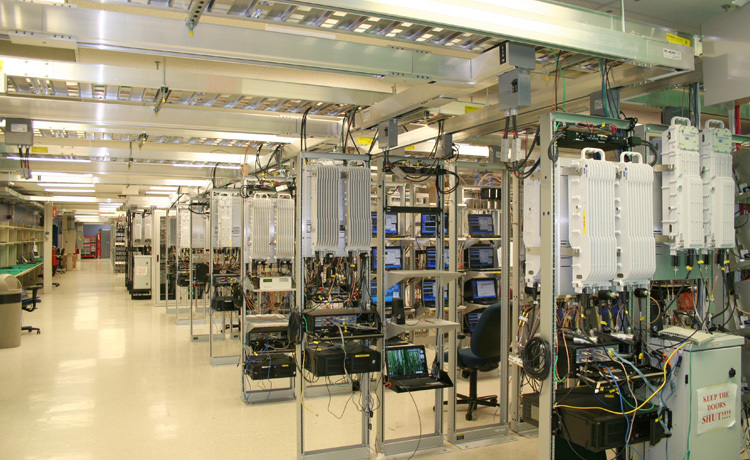 Two separate dedicated computer room air conditioning systems were designed and specified to provide the required conditioning for the data center. Electrical system work for the project included modification and expansion of the multitier cable tray and power supply system to accommodate high density blade servers, lighting, and fire alarm systems. A complete audit and inventory of each major system component was also necessary. Interior space work included auditing all existing furniture and furniture systems for reuse in the new space.